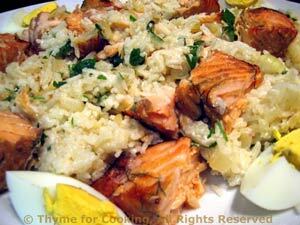 Thyme for Cooking's Main Courses: Salmon Kedgeree, Grilled Steak, Sept. 5. Kedgeree was, traditionally, made with smoked haddock and served as a part of a large breakfast. We smoked the salmon, using a kettle grill, for about 20 minutes. You could use purchased smoked salmon, if you prefer, but it should be hot-smoked, American-style rather than the wet-smoked, Scotch or Irish style. Gravlax would not work. Heat remaining 1 tbs of butter and oil in large nonstick skillet. 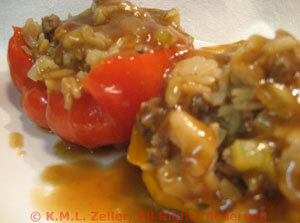 Add onions and sauté until tender and transparent. Peel eggs and cut into eighths. When onions are ready add rice to skillet along with yogurt, lemon and parsley. Mix well. Add salmon and eggs to rice and, mixing gently, heat through. Sprinkle salmon with dill weed, then salt. If using charcoal: Put some charcoal in the barbecue, off to one side and light it. If you are using small, commercial wood chips, put them in water to soak. When the coals are glowing, add the fish - either in a basket or on a grill mat of some sort, to the other side - in other words, not over the coals. Throw some wood chips on the coals and cover. Check it halfway through and add more wood chips if it has stopped smoking. It's done when the fish flakes easily with a fork, 15 - 20 minutes. To use a gas grill: Only light one side of the grill. Wrap the soaked wood chips loosely in foil. Poke a few holes in the foil and place on the grill. Keep the fish off of direct heat and the grill cover closed and vented or propped open an inch or so. This is not a typical American pizza. It has fresh, garden-ripe tomatoes rather than sauce and fresh mozzarella rather than packaged, shredded. The crust is easy to make, especially if you have a stand-mixer with a dough hook. If you don't make it from scratch buy a good pizza crust at the store. Finely chop onions and garlic and sauté in olive oil until tender. Add oregano and mix well. Cut ham into 1 inch strips. 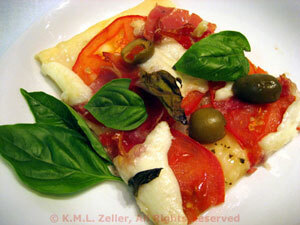 Slice mozzarella as thinly as you can, then tear into large chunks. On just-finished crust or your purchased crust: Spread onion/garlic mixture evenly over crust. Bake at 450F (225C) for 10 minutes. Remove from oven and add ham, half the basil leaves and cheese. Return to oven and bake an additional 10 - 15 minutes or until crust is brown and cheese bubbling. Remove from oven, add remaining basil leaves, slice and serve. A quick, savory marinade and a spicy barbecue sauce to finish makes these chicken breasts perfect for a quick summer dinner. Save a bit of barbecue sauce to pour over just before serving. In small bowl whisk together Worcestershire, vinegar, oil, garlic and chili powder. 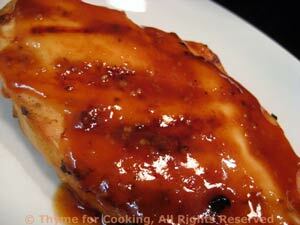 Put chicken breasts in a glass baking dish and pour marinade over. Let marinate for 10 - 15 minutes. 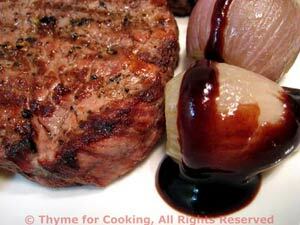 Cook on barbecue grill for 7 - 9 minutes a side or until done (test - take a peak), basting with barbecue sauce. Serve with remaining barbecue sauce on the side. Mix all ingredients in small sauce pan and heat, stirring, until well combined. Keep half the sauce separate for finishing. Tarragon is a great herb for chicken, and a classic pairing in French cuisine. 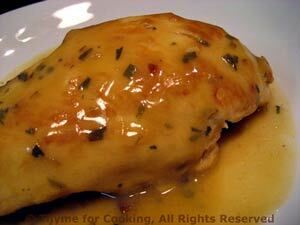 The chicken is quickly pan-fried, then finished with a light tarragon sauce, with white wine and mustard. Add chicken and brown well on both sides, about 10 minutes total. Reduce heat to medium-low, cover and let finish cooking, another 5 - 10 minutes. Chicken is done when juices are clear when a sharp knife is inserted in the center. Remove chicken and cover with the pan lid or foil to keep warm. Increase heat under skillet to medium-high and add the herbs, mustard, white wine and chicken stock. Stir to loosen any brown bits, combine thoroughly and reduce a bit.